Zootopia may not quite fit the formula of a typical Disney animated classic, but it should go down as a success in just about every way. 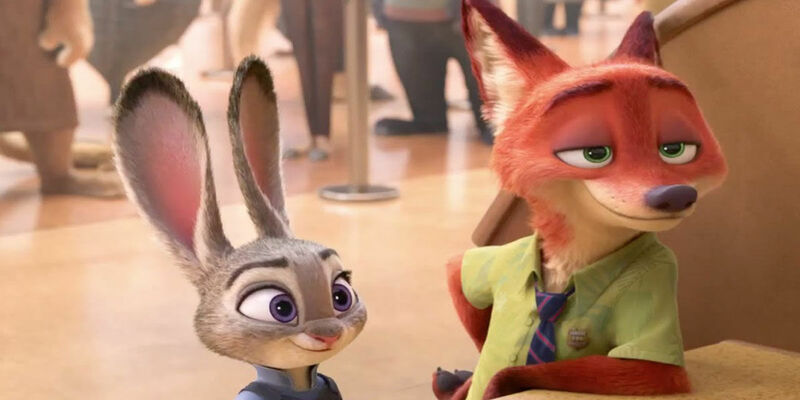 The film, a cartoon tale about a scrappy rabbit police officer in a city full of talking animals, has received overwhelmingly positive reviews, and has also been a big box office hit. Now, Zootopia has hit another box office milestone: It has crossed $1 billion at the global box office. According to Deadline, it’s the 11th Disney film to cross the billion-dollar mark, and the second this year after, once again, Captain America: Civil War. Another Disney release, The Jungle Book, is about $100 million away from hitting $1 billion as well. Zootopia is, as of now, the 26th-highest-grossing movie of all time. Of the 26 movies in history to cross $1 billion globally, 11 were released by Disney or its various sub-studios: Star Wars: The Force Awakens, Marvel’s The Avengers, Avengers: The Age of Ultron, Frozen, Iron Man 3, Captain America: Civil War, Pirates of the Caribbean: Dead Man's Chest, Toy Story 3, Pirates of the Caribbean: On Stranger Tides, Alice in Wonderland, and now Zootopia. All eleven were released in the last ten years, and all except for Dead Man’s Chest came out in 2010 or later. One thing you may have noticed about that list: Nearly all of those films are part of an established series- whether Star Wars, the Marvel Cinematic Universe, Pirates, or Toy Story- or they’re based on a classic literary property (Alice and the Hans Christian Anderson-derived Frozen). But Zootopia, once again, had no such benefit - it’s an entirely original story. That, and its lack of musical numbers, make it an outlier in the history of hit films from Disney Animation. Yes, some of that is inflation, and some is the 3D premium that wasn't around a decade ago. But that takes nothing away from the success of Zootopia. It’s as much an underdog as a release from the Disney publicity machine can possibly be. Zootopia remains in theaters and is also available on video-on-demand from most cable systems. It will be released on DVD and Blu-ray June 7, 2016.